I've wanted to be a writer since I wrote a story about my grandparents' cabin in Mrs. Eisenhart's class in fourth grade. In fifth grade, I got in trouble for reading under my desk while the teacher was talking. Then in sixth grade I read Gone with the Wind. It changed my life. The characters of Scarlett and Rhett leapt off the page; they were flawed and clever and fascinating. In high school, I wrote three sprawling historical romance novels full of kissing and banter. In retrospect, they were dreadful (I had not been kissed myself at this point), but it didn't matter; I fell in love with creating characters and writing into the wee hours of the morning. I also played clarinet in the marching and concert bands and tenor sax in the jazz band; edited the newspaper; was copy editor for the yearbook; and acted in a bunch of school plays. My favorite role was Beth in Little Women. I died splendidly. I left my tiny one-stoplight hometown (Biglerville, PA) to attend Washington College. Within my first week there, I had auditioned for two plays. Writing mostly fell by the wayside because I was spending thirteen hours a day in rehearsal. The drama department at Washington College was amazing; it taught me to value creative collaboration, ask questions, and give tactful feedback (all skills that have been crazy-useful in my writing career). I directed a production of Elie Wiesel's The Trial of God for my drama thesis and wrote a play for my English thesis. It was at WAC that I met my husband, Stephen Spotswood, and a fabulous group of friends who are still my besties. After graduation, I moved to Washington, DC. I got my M.A. in Theatre History & Criticism at Catholic University while I interned in literary management at a few different DC theatres. Eventually I realized that I loved theatre, but not enough to make a career out of it. It was a scary thing to admit. I coped by rereading all of my favorite books from childhood. L.M. Montgomery's Anne of Green Gables and Emily of New Moon books led me to reading some of the brilliant YA that's being published now. In 2007, I started writing my own YA fantasy,Inheriting Garolass, about a portrait-painting girl who discovers her family's link to a world where artists are considered enemies of the state. This manuscript helped me snag my awesome agent, Jim McCarthy at DGLM. Unfortunately, Garolass didn't sell—but the next book did, in a pre-empt from Penguin for the whole trilogy. Now I live in a hipster neighborhood in Washington, DC with my brilliant playwright husband and a very cuddly cat named Monkey, and I am a full-time author. As a little girl, my favorite books were L.M. Montgomery’s ANNE OF GREEN GABLES and EMILY OF NEW MOON series, and Louisa May Alcott’s ANNE OF GREEN GABLES. They created a love of stories about families, with a strong sense of place. Those are things I aspire to in my own writing. As a teen, my favorite book was GONE WITH THE WIND. I love how flawed yet sympathetic the characters are. Scarlett O’Hara is selfish and ruthless, but she’s also a survivor and a strong, independent woman in a society that doesn’t respect that. I definitely also aim to write about strong, independent girls. I’ve wanted to write since I was a little girl, but I didn’t think of it as an actual career choice until about five years ago. I had just finished grad school and in the process I’d sort of fallen out of love with theatre. I was studying dramaturgy and helping playwrights develop new scripts, but I really missed having a creative outlet of my own. That’s when I started writing fiction again and realized that it was what I was meant to be doing. What was one of the most surprising things you learned in writing Born Wicked? I was surprised by how collaborative the editing process was. My editor and I brainstorm together a lot about new outlines and plot points and character developments, and we went back and forth on revisions countless times. She’s challenging, but I know my writing has improved because of it. And it is reassuring, because even when I don’t have faith in myself and my own talents, I have faith in her! Right now, I’m working on STAR CURSED, the sequel to BORN WICKED. There will be three books in the Cahill Witch Chronicles. After that, who knows? Before BW sold, I was working on a Sleeping Beauty retelling from the point of view of Princess Tala’s half-fey best friend. I'd love to finish it at some point. Did you learn anything from writing Cate and what was it? Absolutely! I learned that when I get stuck, I should stop over-thinking and just listen to the character, think about what she wants and what she’s afraid of, and go from there. List 5 of your all time favorite books? Blessed with a gift...cursed with a secret. Born Wicked is an unparalleled debut from Jessica Spotswood. A magnificent merge of science fiction and fantasy that entwines together topics of love, belief, magic, responsibility, and feminism. The plot line and the alternate history grant enough world-building that keeps readers’ interest level high. With skillfully crafted enthralling characters and their world, I was immediately hooked from the first chapter. The very likable Cate is caught up in a tough situation, but she’s strong-willed and determined. With her sisters under her care, she’s also ready to make sacrifices to guard the people she loves. Three events are fast approaching Cate; either announce her engagement, join the Sisterhood or the Brotherhood pick a husband for her. She also locates her mother’s diary that depicts a prophecy of three sisters that becomes the most dominant witches. But it also says that these sisters will either save civilization or carry upon the second terror. Born Wicked is engaging in all aspects from the alternative historical setting, the plot, the characters, and to the writing style. The book presented constant surprises throughout. 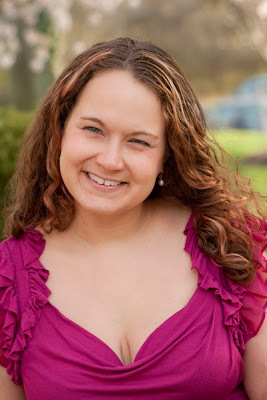 Jessica’s writing style is truly remarkable and completely connects with its reader. The storyline is addictive and the pacing was just right. Born Wicked is a grand launch to a very promising series. Thank you Jessica for making this giveaway possible. 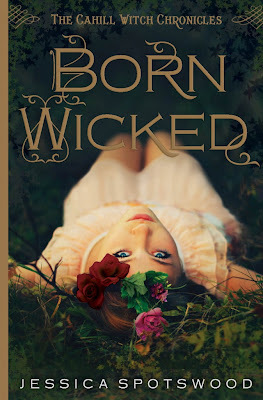 1 Winner will receive a complete Born Wicked Swag by Jessica Spotswood. (HB copy of Born Wicked, Signed Bookmark & Sticker). 3 Winners will receive one signed Bookmark by Jessica Spotswood. Good morning Jean!! Thank you so VERY much for this giveaway! I have this book and I think it's beautiful, not just the cover but the story as well!! I would love to get a bookmark or a bookplate with Jessica's autograph though. The biggest influence in my life is my mother, she is my true friend, the person I most love and trust. I can't live without her. awesome giveaway. great that its international! Thanks so much for the giveaway. Id have to say my husband. We have been together since I was 16. 4 kids later and we are more in love than ever. My Mom, she's the best! The biggest influence in my life is my mother. I know it's cliche, but she survived 16 years of reoccurring breast cancer and is still fighting! She's the best person I know and I aspire to one day have her strength and passion for everything she does. I love her very much. My biggest influence in my life has always been my mother. I still strive to be more like her. 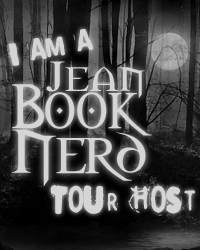 Thank you Jean, for the awesome author interview and giveaway!! This book sounds very interesting!! My biggest influence right now is my 96 year old Auntie!! Who just keeps going!! I would have to say my grandmother "Maw Maw". She grew up in extreme poverty in WV and was able rise above it despite her ver rough childhood. And, of course, the best cook ever. Excited to read this book. Thanks for the giveaway! I would have to say that my grandfather has been my biggest influence. The biggest influence in my life is my husband. He encouraged me to go to college, which I'm currently attending to get my associates in Nursing. Something I've always want to do and don't think I would have if it weren't for his encouragement. Different people at different times. But, in invisible and unconscious ways, probably my dad. I mean a kid can't help but be influenced greatly by their parents (for good or bad, even whether the parents are present or not). My dad was, and still is, a part of my life and I think that I many aspects of my current self are thanks to him, sense of responsibility, loyalty, quick temper, eating more than I should. Who knows what else. My mom. Thanks for this giveaway! My mom. She is so selfless and giving. I have to say my mother, she has been my rock and she is my life. I adore her, and I do anything to make her and keep her happy. The biggest influence of my life is my older sister Melissa. She is my rock, and is always there for me! Definitely my Mom! And I think every mom deserves to be a good influence! My family and friends. Friends more, I think, cause we spend more times with them than our families nowadays. My freshman History teacher back in high school. He taught me to put a lot of faith into my work and never let anyone discourage me. The biggest influence of my life is mother. She is not only my mother but she is also my friend and my teacher. The biggest influence in my life is my mom. She raised three kids all by her self. An we never made it easy for her sometimes. The biggest influence in my life is my lovely mom!! As most have said, it's cliche, but my parents. My Mum, definitely; we're really close! My dad. He supports me no matter what. My Parents certainly are my biggest influences, both of them instilled a love of reading in me, my mother taught me to have a voice and never be ashamed of my opinion. My Father taught me how to cook and be independent. I am eternally grateful for lucking into having such amazing parents. My dad, I wouldn't be here if it weren't for him. My fiancee is the biggest influence in my life. We've been together for nearly 8 years and he's always been my "rock". He is an amazing father to our 2 beautiful girls and he is an amazing man in general. My inspiration for jazz singing is Ella Fitzgerald. She's amazing and simply a gorgeous voice. I'd have to say my little sister is my biggest inspiration in life. She has not had an easy time of things since she was little & time and again I see her rise above and come out stronger on the other side. I can't begin to tell you how proud I am of her. My Mom and God. My Mom because she's a very strong and hard working woman who does what she has to to make sure I have the best. God because, well He's God, He's AWESOME! My mom and my dad are big ones.